Wartrace, Tennessee Stephen Gallagher’s 2002 GMC Duramax ignored the horse trailer behind it. 368,000 miles, and just getting started. Another customer delivery for Mr Gallagher. Grandson of J.W. Gallagher and heir to a guitar-making dynasty, Stephen splits his time between family, horses, pushing livestock with Waylon, and building some of this country’s finest guitars. J.W. Gallagher, with only a 7th grade education, was the smartest man in the country. When the Army gave him an intelligence test in the 1930s his result was so high the Army gave it to him again. J.W. scored perfect the second time. He went on to spend his military hitch learning everything he could about everything. Engines, construction, woodworking, machinery, everything. Slingerland, the percussion company, asked J.W. to set up a guitar production line in 1963. J.W. had a history of reproducing any bit of woodwork necessary; he promptly cut a dreadnought in half to figure it out. J.W. soon applied a second element, that of physics – sound and vibration. He went on to build his own line of acoustic guitars. J.W. Gallagher never intended to own a large guitar-making concern. Family lore has it that 1,000 units was his goal; he had so many other interests, he once plainly told a customer a special order guitar was not done because there was a river full of fish nearby just waiting to get caught. But continue and prosper it did! The famous Doc Watson received a Gallagher early on; in 1974, Doc made a request for a different shaped neck. The result is a guitar named after him, and a Gallagher best seller. 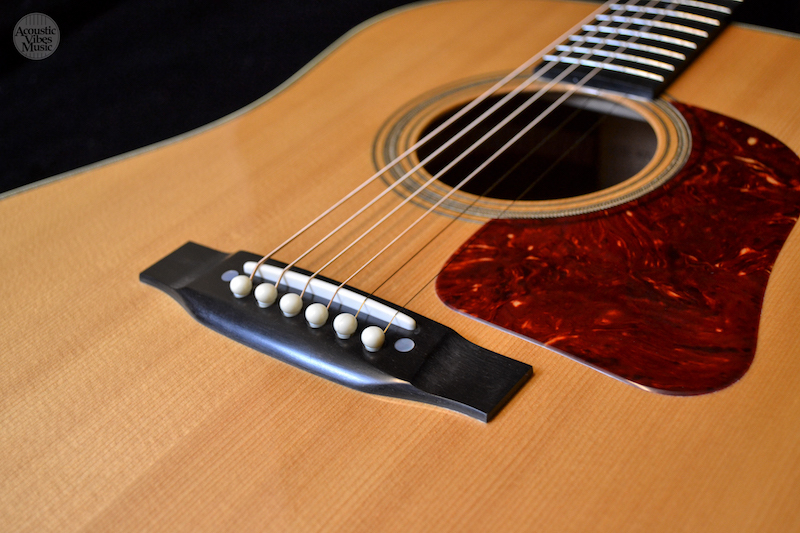 A guitar of persuasive warmth, the Gallagher is a picker’s delight. A clear, mellow bass, uncluttered of unpure tone, accompanying a punchy upper end. As J.W. Gallagher’s website puts it, you get a deep bottom end perfect for playing those hard G runs. Which I love ❤ to do! From Tyler Grant, flat picker extraordinaire, the Gallagher is a perfect country guitar … not pop country, but an old country blues. I begin with a typical bluegrass rhythm, an alternating bass in front of a strum. With clear full tone, the room disappears, I’m on stage, the Gallagher is doing all the talking. With little keeping me from a custom Gallagher order, I email 3rd generation Stephen Gallagher to enquire, “Can you make a 000 short scale Doc Watson model?” I’m surprised to get a call back so quickly, not about the order, but with additional information for this article. Thanks, Stephen! A few tidbits: On the headstock is a stylized “G” for Gallagher? That Olde English G came from the Shelby Times Gazette newspaper … pre-internet. 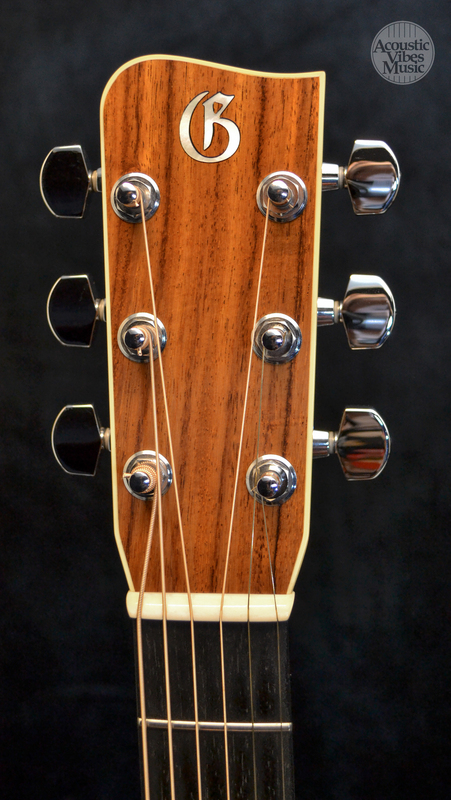 The Gallagher headstock design is called a French Curve. J.W. was looking for something original. This simple design spied on an obituary spawned another weekly installment of American Toolbox! 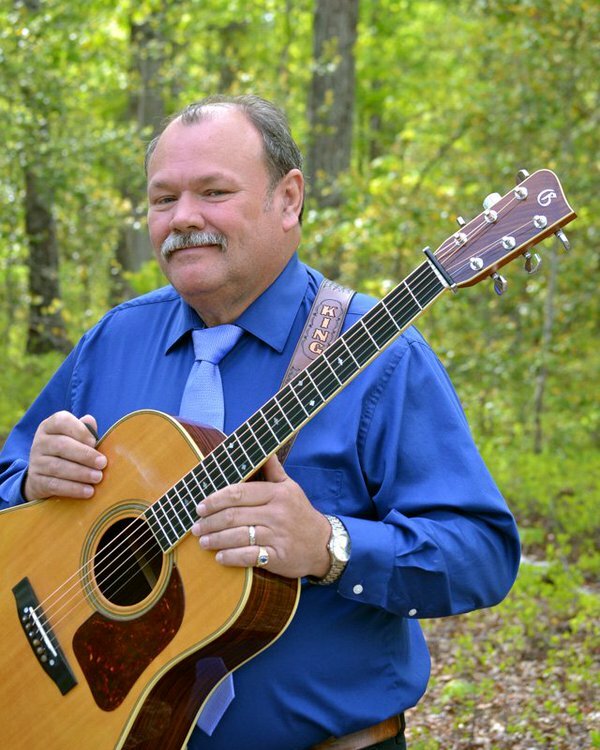 This entry was posted in Craftsman / Artist, Music and tagged acoustic vibes music, gallagher guitar, james king, jeff looker, stephen gallagher, tyler grant, Wartrace TN. A great read…Makes me want to pick up the guitar again…but its been a while. Thanks, Thomas. Yep, a Gallagher has definite presence. And the neck is patterned after a Les Paul. There is a sturdy beefiness to the guitar. I’m still visiting the area, stopping in Acoustic Vibes almost daily. Lately it seems I keep coming back to the Gallagher, a Guild Orpheum 12-Fret Slope-Shoulder with a short scale, and a couple Gibsons in rotation. No, not working through the G’s, they all just happen to start that way. Just had the pleasure of watching bluegrass, swing, finger style guitarist Jim Hurst put a Gallagher to the test, both came through with flying colors. Not sure if it was the guitar or the player, but old Merle Travis and Jerry Reed tunes sounded amazing! Excellent! When I play a Gallagher, it sounds like someone else is playing, way way better than the usual noise I make.